Starring: JOHNNY RAMONE, DEE DEE RAMONE, TOMMY RAMONE, JOEY RAMONE, MARKY RAMONE, RICHIE RAMONE, C.J. RAMONE, DEBBIE HARRY, JOE STRUMMER, CAPTAIN SENSIBLE and more! A MUST for any fan/collector of RAMONES! 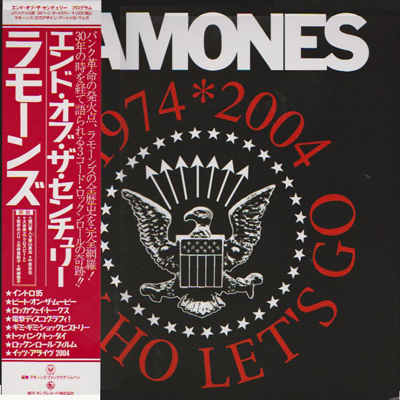 Click the button below to add the RAMONES End Of The Century JAPAN Movie Program to your wish list.